All those E-retailers, whose bread and butter comes from E-commerce websites, expect their sites to rank higher on all search engines. It helps them to get more traffic to their sites, make more leads/ conversions, and business opportunities. All these things sound very pleasing and soothing. But, the ground reality is quite different. When E-retailers operate their E-commerce sites, they face many problems to maintain the ranking of their sites on search at the expected level. Rapidly changing SEO tactics and the status of product pages make E-commerce SEO a hard nut to crack. Use the latest version of Magento to operate your site. Make sure that you use the most recent and strongest antivirus to protect it from online security threats. Check your website configuration carefully and ensure that web developers have reversed the “no indexing” options which stop search engines to crawl and index your website or its pages. Take care of website site design and structure. Make sure that it is up-to-date and user-friendly. Add an XML and HTML sitemap to your site. They allow search engines and people to visit your site easily quickly. Add Google analytics to your site. It helps you to track the progress of your SEO campaigns and shows you the areas you need to improve the outcome of your SEO campaigns. Make sure your site is responsive to all devices. Additionally, it should load faster. Install and configure a Magento SEO extension on your site. It will help you a lot in website optimization. Ensure that your website and its pages are coded properly. Even a little mistake in coding can ruin all your efforts to optimize your site. You can use some resources to trace coding errors and remove them instantly. Without knowing the right keywords (that covers all aspects of your E-commerce business), it is almost impossible for any SEO specialist to launch effective digital marketing campaigns. Therefore, just use Google Adwords and find out most suitable keywords for your E-commerce business. You can also research the keywords of your competitors to explore better keywords under your niche. When you use high-quality keywords to optimize your site, they help you to increase its ranking in search engine results and bring more traffic to your site. The uninterrupted supply of high-quality and meaningful content is the most significant factor for skyrocketing your web-based business. Your site will not perform well (in terms of rankings, leads, traffic, etc, ) if there is a lack of engaging content on it. Apart from this, Google will show the red flag to content that has excess placement of keywords, grammatical errors, sentence errors. Once your site is punished by the Google (for using the lower- quality content), it is very difficult for any website owner to get the site’s reputation back. So, you should write well-researched, keyword-enriched and SEO optimized unique content to optimize your Magento site. If you have no time for creating high-quality content, you can get that from professional content marketing agencies by spending some money. Whenever you publish a new content on Magento, it automatically generates the default URL for the live content. Default URLs have long query strings and at most of the times, they look suspicious. While looking for web pages to display them in results (against the user’s terms), search engines avoid the default URLs (because they have to read messy parameter values) and look for decent looking URLs. Even visitors consider default URLs as SPAM or are afraid of opening them up. Therefore, you should make your URLs, user and search engine friendly. You may include important keywords and terms to target your audience very well. You can edit the URLs manually or with the help of Magento extensions. When you optimize your Magento E-commerce site, it is important for you to use unique page titles and meta description. You should keep your page titles maximum up to 65 characters. Magento -> CMS -> Manage pages →select the page whose title you want to edit -> General Information -> Page Title. Meta description should be maximum up to 156 characters. You must optimize it very well as it appears below the search results and gives users the first impression of the websites. Although, it has no role in the site’s ranking on search engine results, but a good quality meta description can convince visitors to visit the sites and look for the information they need. Although, Magento has outstanding built-in capabilities to make your product pages appealing and attractive, but you should use a blog for your site. It will help you to explain your products and services in details to customers and drive more traffic back to your site. Adding a WordPress based blog to your Magento site. Be active on Q&A sites and answer visitor’s questions directly. You can recommend your site’s link in answers. Submit high-quality comments on relevant blogs under your niche using your site’s link. Do guest blogging actively. Just send high-quality articles to authentic blog owners. If your articles are approved and published, you get links back worth millions of bucks. Write good quality press releases and get them published on press release sites. You get quality backlinks to your site. Google considers your site’s presence on different social media channels as an important factor when it has to display the most relevant results to users. If your content is liked and shared extensively by social media users, then it is possible that it may rank well on Google. Therefore, you should make the most use of different social media channels to give a great boost to your SEO exercise. So, allow visitors to share your site’s content on different social media channels. You can also take the following step to drive more traffic to your E-commerce site from social media channels. Use visual content to attract social media users towards your site. Communicate with fans/followers regularly and answer their questions. E-commerce website owners use images to attract visitors and help them to understand the products and services very well. When you use too many images, it can make your site slow. Apart from this, many individuals don’t add Alt attributes to images they upload to their site. As a result, search engines fail to understand the message of image content and they don’t add such images in search results. Use the right image format and compress the images using Magento extensions. It will consume fewer resources and will help your site to perform smoothly. Whenever you upload images to your site, never forget to add the Alt attributes. It helps search engines to understand images easily and display them in search results. Don’t steal images from other websites, photo sharing websites or search engines. Just click quality images yourself and use them in website optimization. An E-commerce website may have the listing of thousands of products. You should optimize all of them with the latest practices of SEO and ensure that they are performing well on all parameters of SEO. Make sure that your site doesn’t have 404 pages (URLs having no content) as they can harm your reputation as an E-commerce website owner and damage a significant damage the yielding of your SEO efforts. E-commerce SEO is a subject matter of constant change at regular intervals. 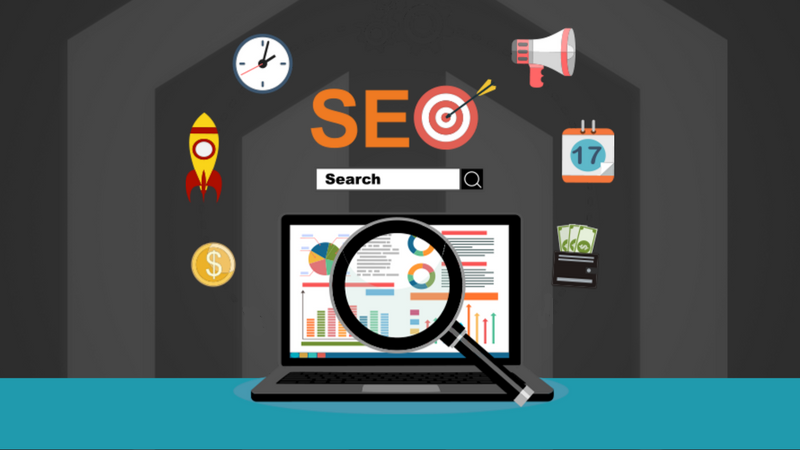 So, you should keep a close eye on all those changes and make improvements in your SEO campaigns accordingly to maintain a better ranking on search engines. New eCommerce sites go online every year, but only a few sustain on the web in the long run. While running a Magento store, implementing the above-mentioned tips will help you dominate the digital world in an easy way. If you want to stay ahead of your competitors, then you should contact an expert Magento development companies and firms. Linda Wester describes herself as a Magento expert with years of experience in working with various web development technologies. She is a passionate writer who loves writing all things related to eCommerce, web design & development, SEO and SMO. Reach her out on twitter to learn more about her. Thanks for sharing.. It’s a really helpful information provide here.. I like it but I want more information with image..